Anyone who plays a Buescher knows that the left hand pinky table can feel clunky and can inhibit the player from playing those notes quickly and with ease. The SuperSlickSetup allows your pinky to glide over the table and quickly switch from one note to another. This modification is nearly invisible and must be felt to be appreciated. 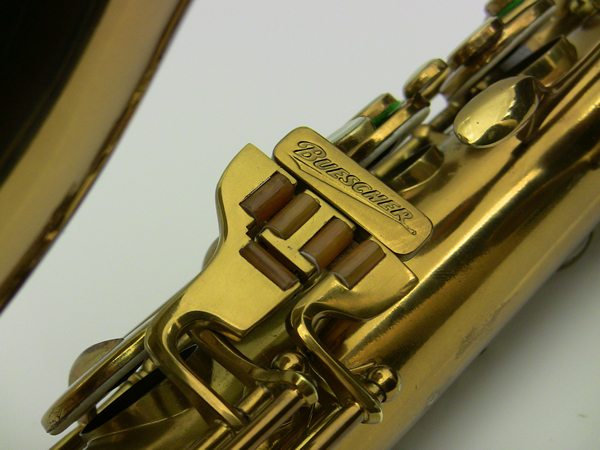 If you’ve experienced a Buescher that has had an Uberhaul at the Sax ProShop, you likely have an appreciation for this procedure.